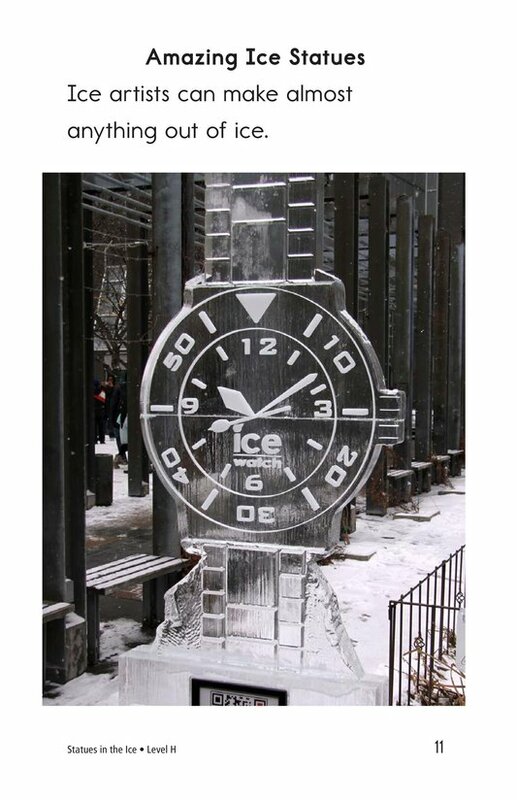 Most people use ice to keep items cold, but some people use ice to create works of art. 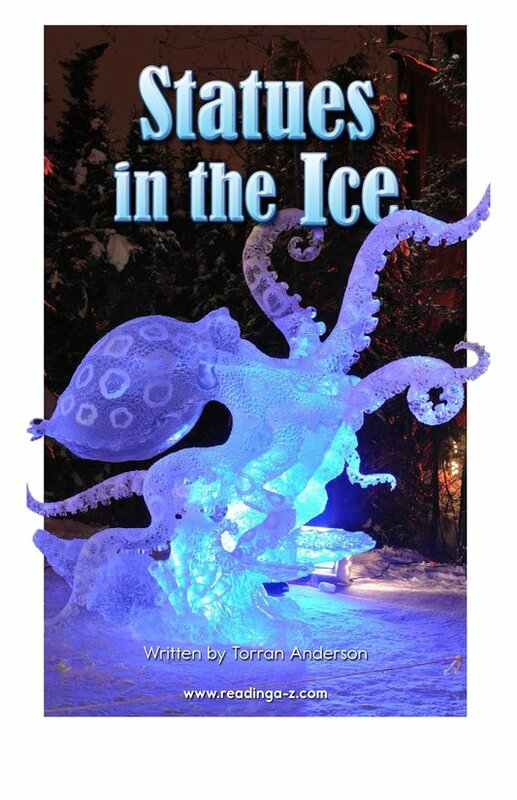 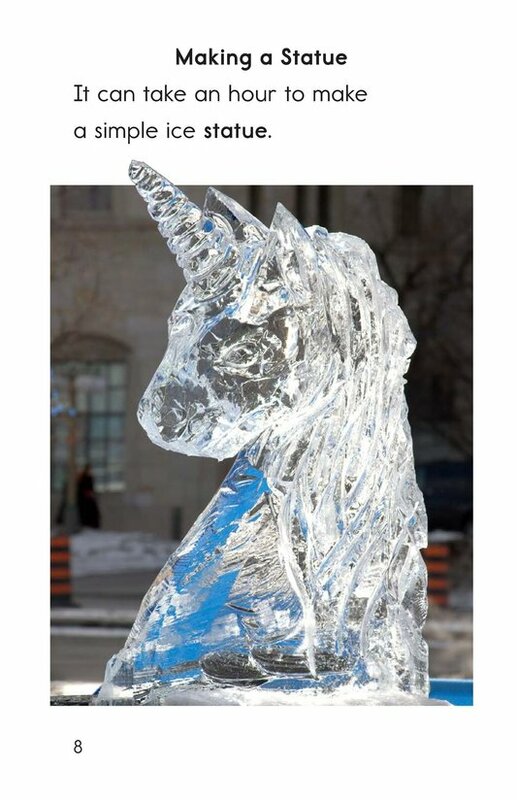 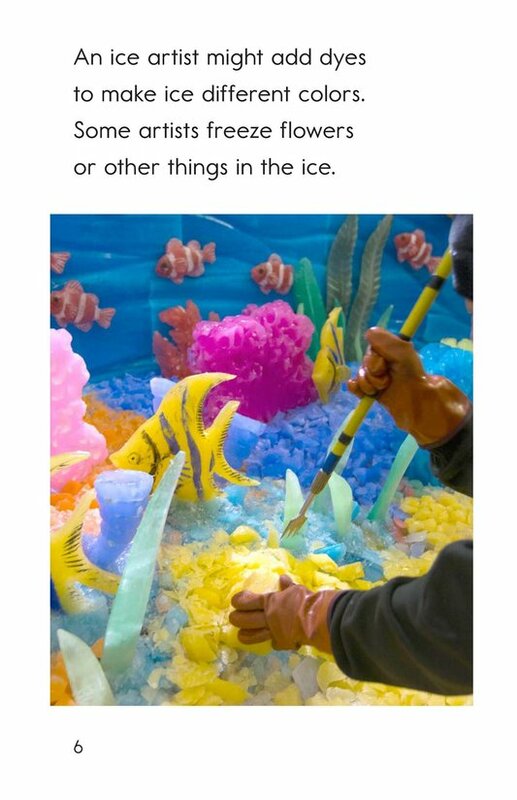 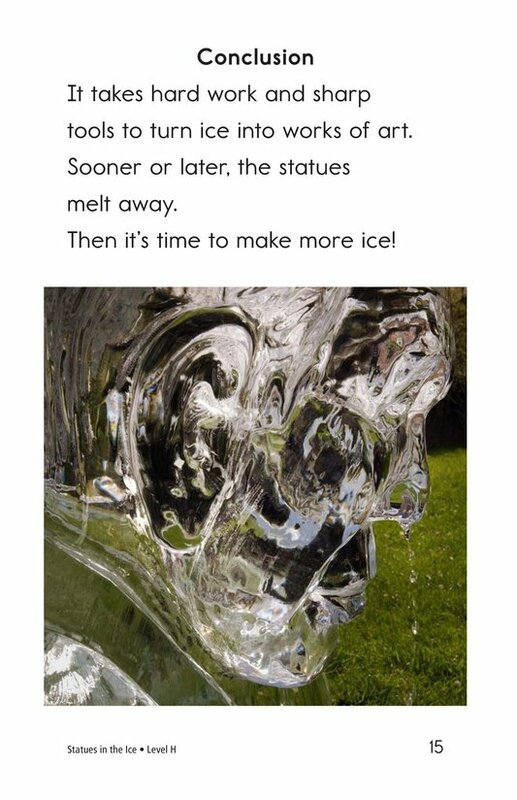 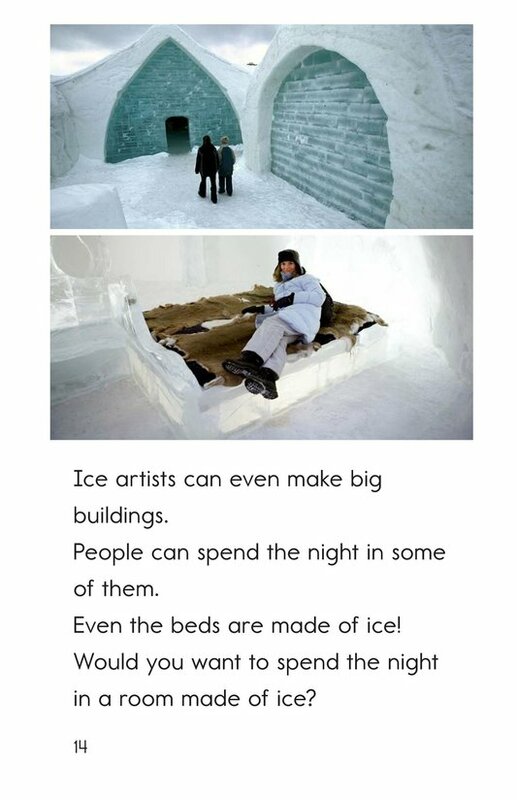 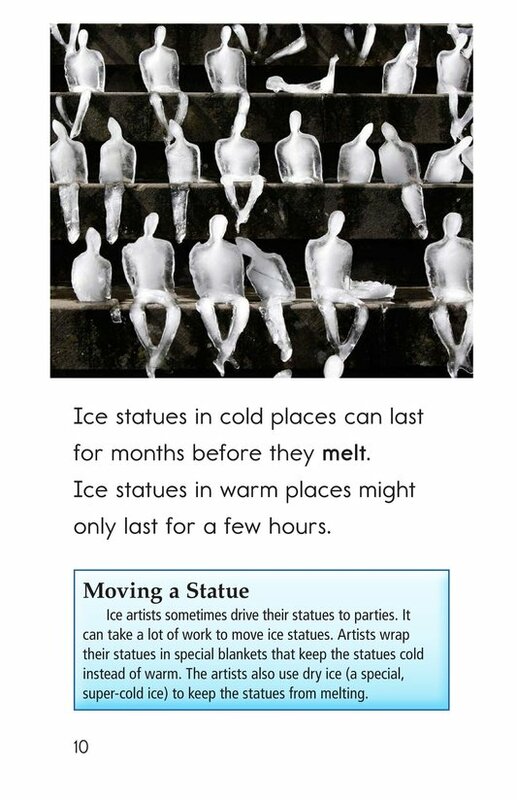 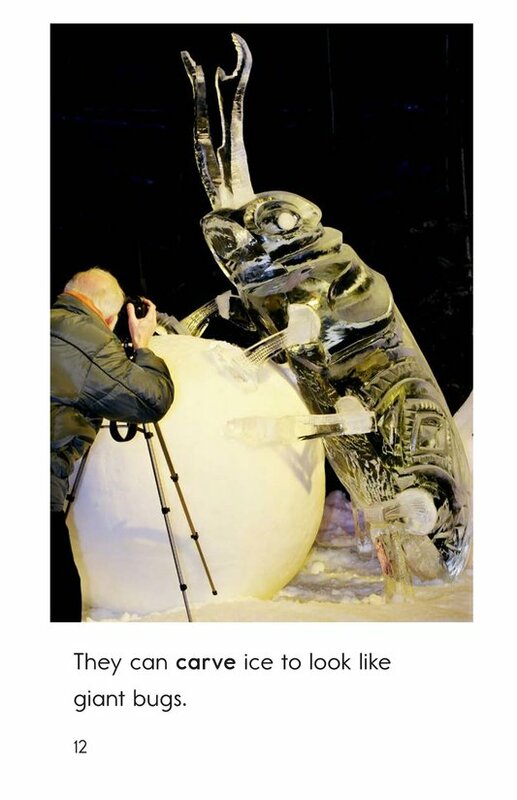 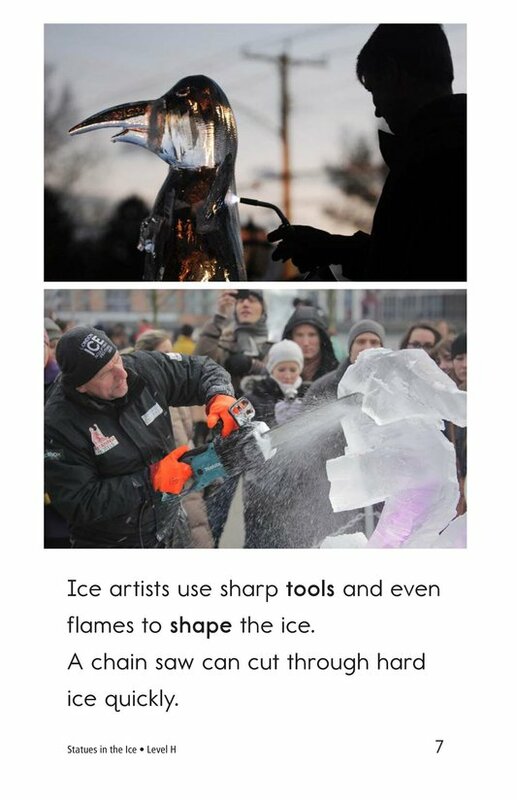 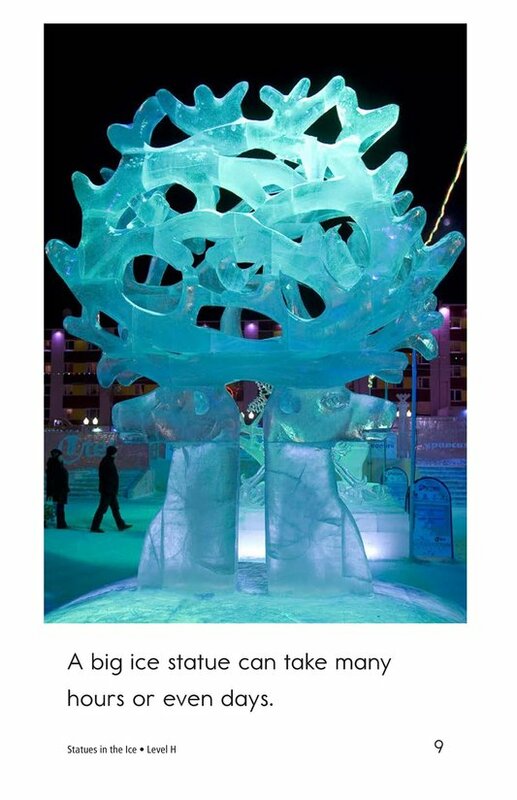 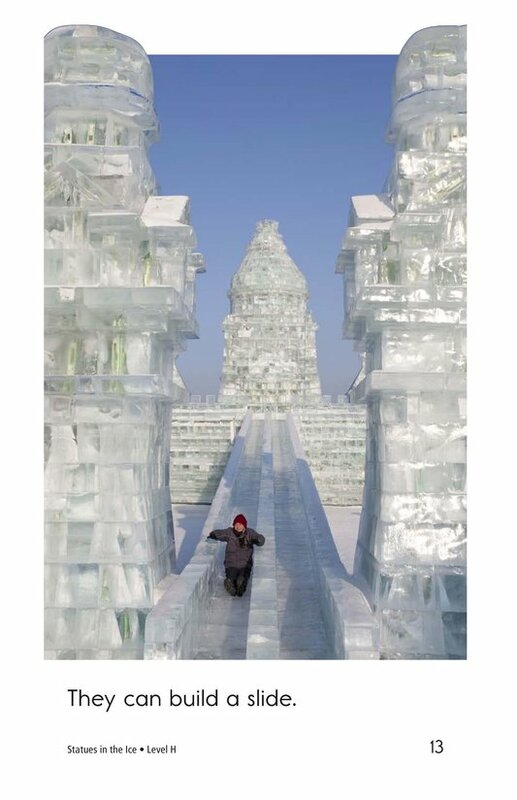 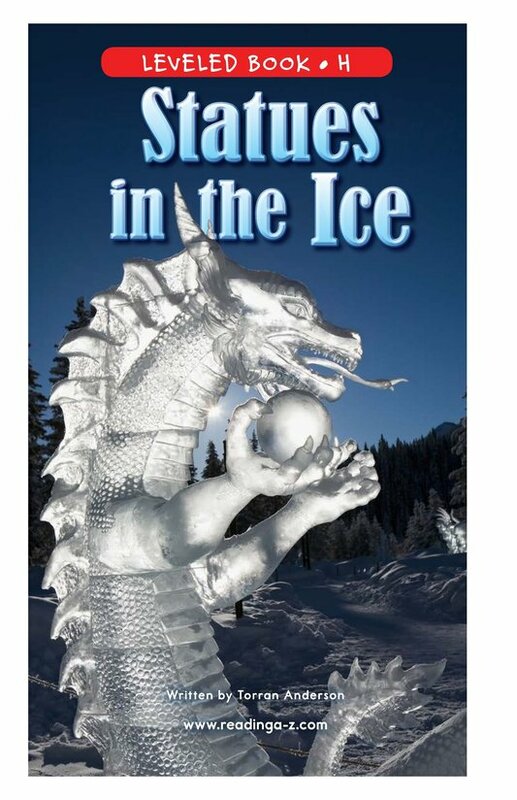 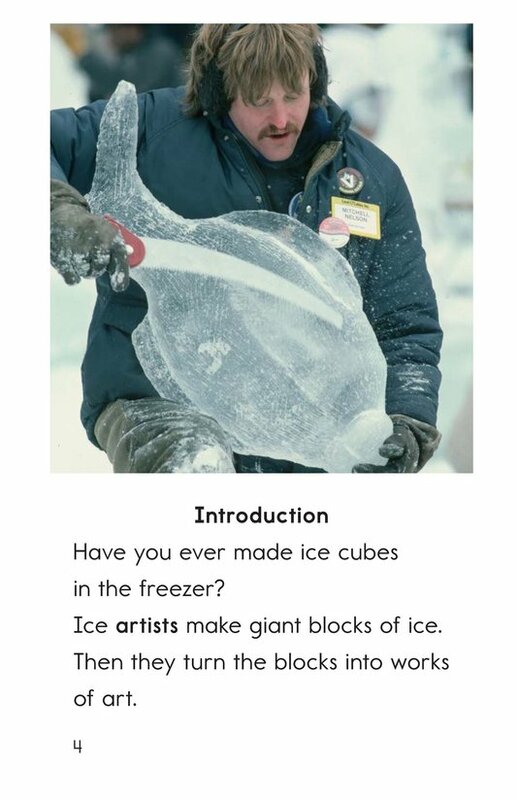 Statues in the Ice introduces readers to the beautiful world of ice statues—sculptures that are as lovely as any piece in a museum but are carved entirely out of ice. 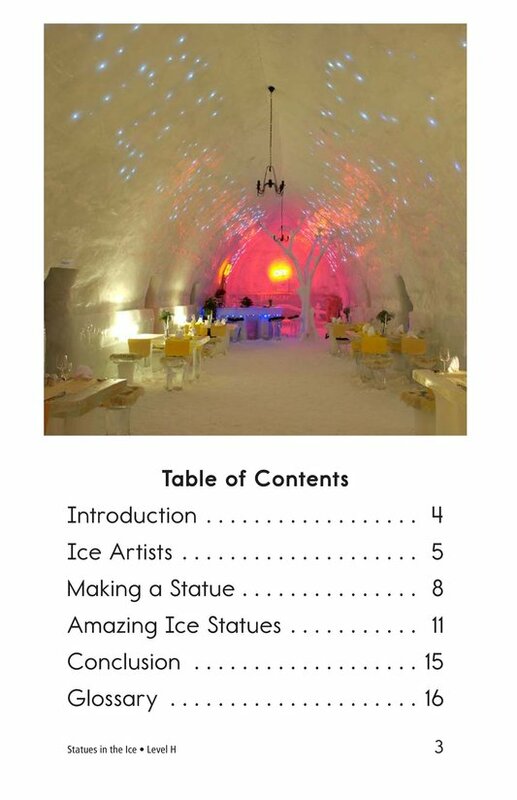 The accompanying photographs will amaze readers and increase their interest in the topic of the book. 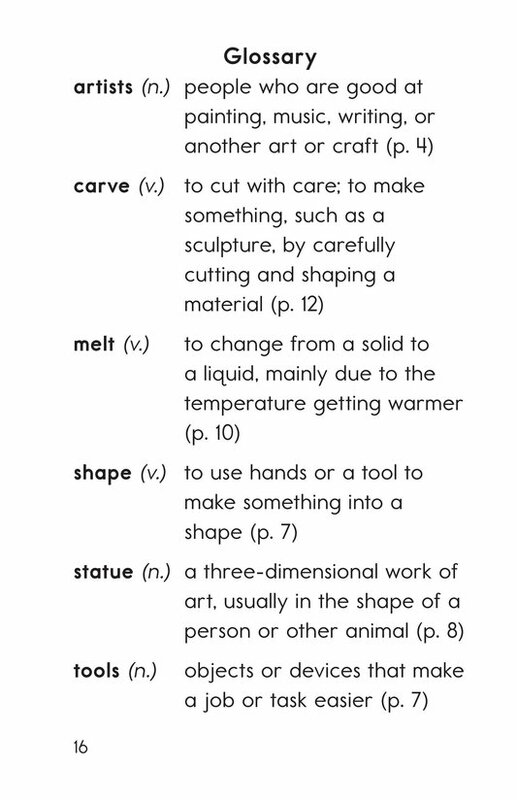 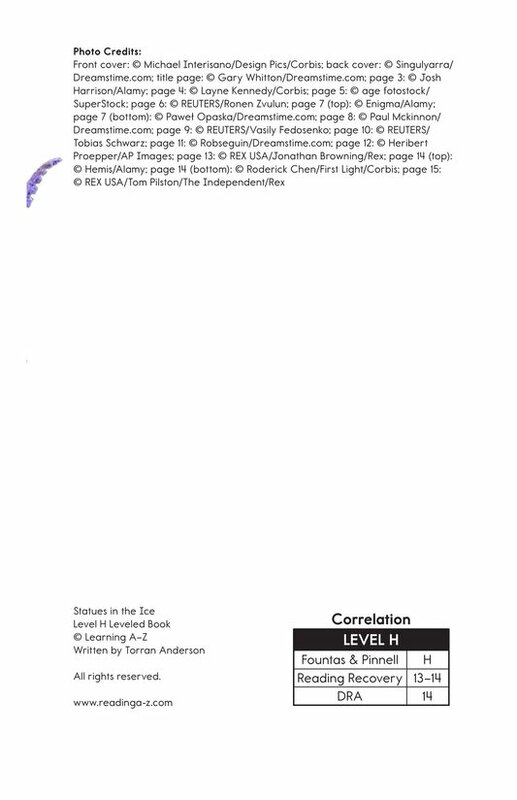 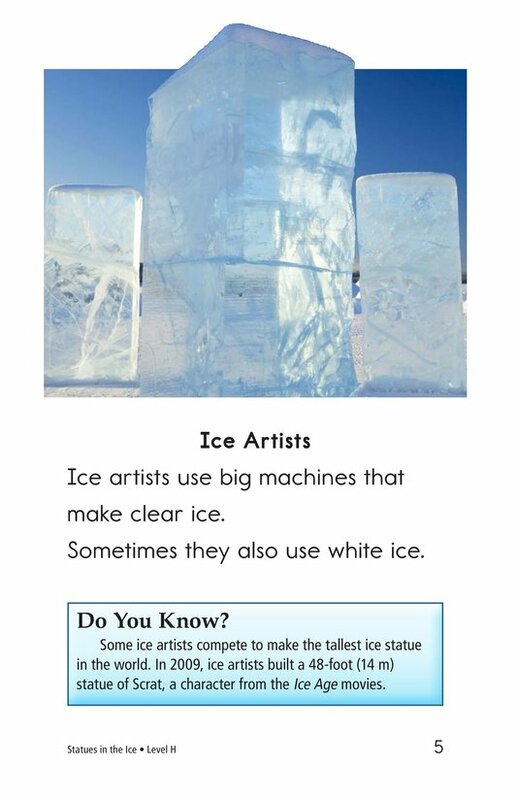 The book can also be used to teach students about main idea and details and adjectives.